The primary implication of this report is that market saturation for internet use, social media and smartphone ownership is becoming an unavoidable reality. Growth pockets remain, but the looming question is where future increases in usage and financial impact will come from. 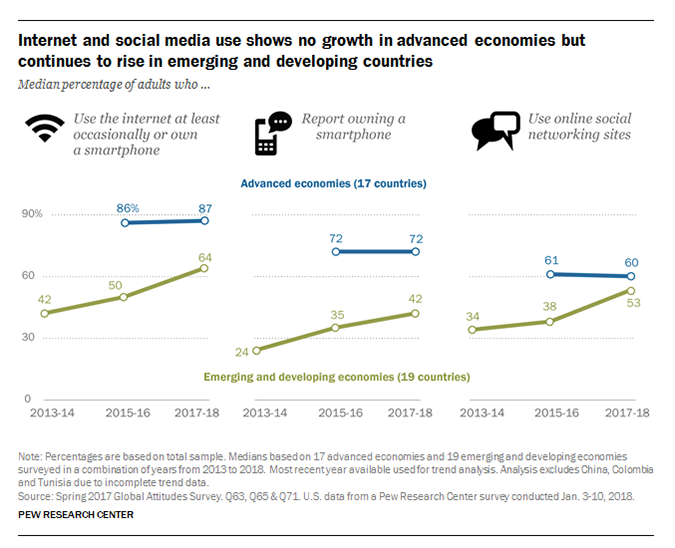 Social media use has been flat in many advanced economies. 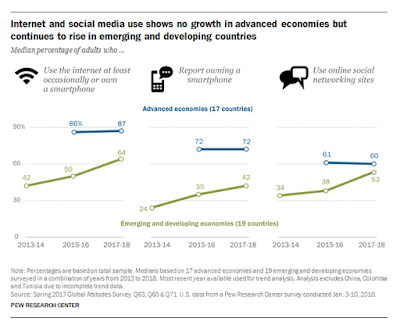 Internet use and smartphone ownership have also stayed level in developed markets vs rising in emerging economies. Digital divides persist related to age, education, income and gender, differentiating who uses the Internet; and who is active on social media. Internet access remains a barrier to growth in many markets. Pulling the plug on social in emerging markets means pulling the plug on business growth.